There are many misconceptions, omissions, distortions and lies surrounding the issue of health and medicine. Many are propagated by those who own Big Pharma (i.e. the Rockefellers and their ilk) who set the platform for Allopathy or Western Medicine to assume a monopoly and dominate healthcare (or more accurately "health management") at the start of the 20th century (this article 'The Flexner Report - How John D. Rockefeller Used the AMA to Take Over Western Medicine' reveals how they did it). Unfortunately, much of this disinformation is unwittingly propagated by well-meaning parents who want their children to be healthy but simply don't know how to see through all this health propaganda. The result is a population which has been trained to look outside of itself for healing, to depend on Government and Big Pharma to take care of its health, and to unquestioningly accept the opinion of their (Western) Doctor. ...rage throughout the US, Australia and many Western nations. 1. Your health is just dependent on chance and/or genetics - Gotcha! How many people have fallen for this one? The common themes behind both of these beliefs are fatalism and finding an excuse not to take responsibility. If you're fated or destined to get disease, what's the point trying to live healthfully? If you frequently succumb to bad luck with your health, why try? It you're stuck with "bad genes" and that's just the way it is, what's the point? It is true that genetics indicate tendencies and proclivities, but those tendencies and proclivities still have to be activated. Consider the groundbreaking work of Dr. Bruce Lipton on epigenetics, which affects how genes are read by cells and subsequently how they produce proteins. "Epigenetics Controls Genes. 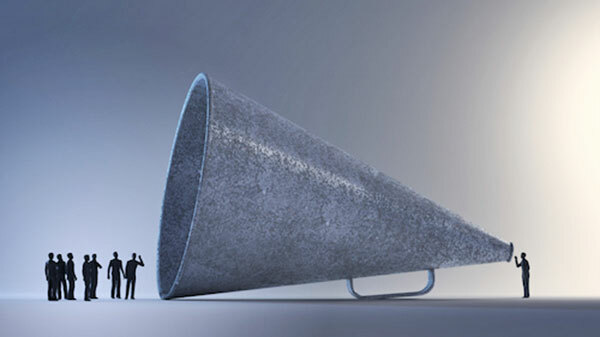 Certain circumstances in life can cause genes to be silenced or expressed over time. In other words, they can be turned off (becoming dormant) or turned on (becoming active). Epigenetics Is Everywhere. What you eat, where you live, who you interact with, when you sleep, how you exercise, even aging - all of these can eventually cause chemical modifications around the genes that will turn those genes on or off over time. Additionally, in certain diseases such as cancer or Alzheimer's, various genes will be switched into the opposite state, away from the normal/healthy state. Epigenetics makes us unique. Even though we are all human, why do some of us have blonde hair or darker skin? Why do some of us hate the taste of mushrooms or eggplants? Why are some of us more sociable than others? The different combinations of genes that are turned on or off is what makes each one of us unique. Furthermore, there have been indications that some epigenetic changes can be inherited." you have control over which genes get expressed (activated) or suppressed (become dormant). In a sense, life is fragile. At the same time, you're not just some powerless little speck of dust that has no choice or control over what happens - although it certainly suits those in authority for you to believe you are. 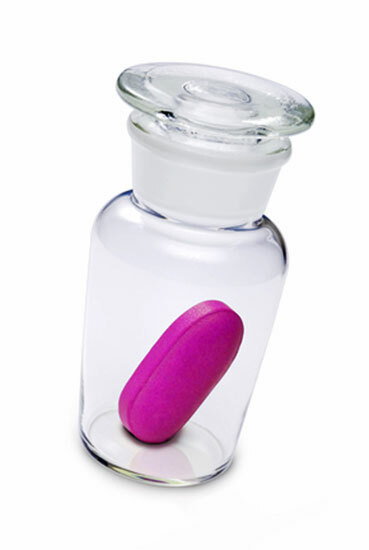 are you waiting around for the "magic pill"? This is a corollary from the first point above. 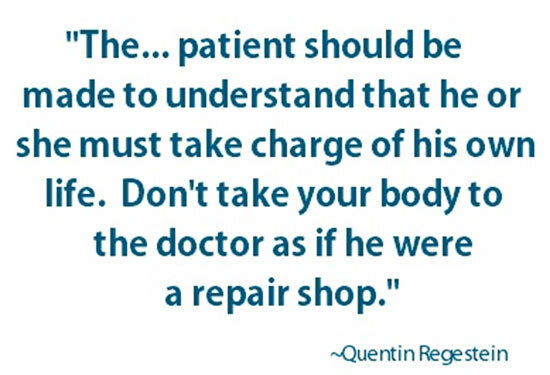 If you fall into the trap of not taking responsibility for your health - and I mean all aspects (physical, mental, emotional and spiritual) - then you may tend to see the body like a machine or vehicle that needs repairing by a doctor-mechanic. You may also tend to believe the lie that Big Pharma has a magic pill for everything, that this magic pill can solve all of your problems (without any side effects) and that even if Big Pharma doesn't have a magic pill now, they'll have one in the future. However, one need only look at the shocking count of iatrogenic deaths (deaths caused by Western doctor and Western medical methods - around 225,000 per year according to Dr. Starfield in her 2000 study which makes it the #3 leading killer of Americans) to realize that Western Medicine is causing a lot of grave damage at the same time it treats people. How can Big Pharma and Western Medicine ever create the "perfect cure" or the "cure for everything" when they are based on limited and materialistic scientific models that fail to understand the holographic and energetic nature of reality? Besides, by buying and suppressing genuine cures, Big Pharma has shown that cares more about "treating" and "managing" disease (which is more profitable) than curing it (or healing it which is a whole other level). 3. Cancer is a terminal disease and isn't curable - False! How many cancer survivors out there contradict his piece of modern day health propaganda? The number of effective and successful natural cancer remedies, cures and protocols is piling up. CancerTutor.com is a great resource for those investigating it. Yes, getting cancer may be scary, but it's important to know there are natural options outside of toxic chemotherapy and radiation where the cure is deadlier than the disease. And sometimes they are atrocious for your heart! This kind of toxic health propaganda is particularly insidious, since it fools people into thinking they are doing something good for themselves when they purchase packages with the symbol on it. Heart-Healthy Food is a creation of the AHA (American Heart Association) who used the faulty research of Dr. Ancel Keys, the guy who rose to prominence in the 1950s (and was on the front cover of Time magazine) for promoting the false idea that saturated fats caused heart disease. For the background to this health propaganda, read the article Plastic Oils vs. Saturated Fats - Busting the Propaganda. AHA has dutifully spouted out the same line of disinformation ever since, claiming that because all saturated fats are "bad", it's therefore better to eat margarine instead of butter. This is equivalent to saying that hydrogenated and trans fats are healthier than natural fats from animal (e.g. dairy) and plant (coconut) sources. Yes, the AHA also advocates a variety of fruits and vegetables, whole grains, and nuts and legumes, but its information has been skewed by the corporations funding it, who hawk "vegetable" oils (a deliberate misnomer which really means industrial seed oils). The demonization of raw food makes sense when you consider that the forces running the world are pushing you away from natural, juicy and vibrant ways of eating and living to synthetic, dry and dead ones. When fear of a pathogen gets out of control, government authorities often respond with a sledgehammer where a fine tooth comb was needed. Look at how California is now required to pasteurize all their almonds by law. Yes, eating raw increases your chances (although still tiny) of picking up some harmful bacteria, but it also increases your probability (to a level of certainty) of getting more nutrition and vitality out of your food! The raw diet is not for everyone, however there is little doubt that introducing more raw food into your diet will increase your health. There are many ways to fast, from doing intermittent fasting (an eating pattern where you have cycle between periods of fasting and eating throughout the day) to doing 3-day, 7-day, 10-day or even longer fasts. Some people do the Master Cleanse (consuming only a lemon juice-maple syrup-cayenne pepper drink), other people do a vegetable juice fast and still others do a water-only fast. Fasting is not for everyone, especially children or pregnant women. It is best to get guidance from others who have done it and to start slowly, but evidence shows that by giving your body a break from digestion, you can achieve many health benefits. You allow your body to repair and regenerate in a way it cannot do if it is digesting food all the time. and may actually be doing you harm. Many of them are made of synthetic vitamins, stuffed with fillers and even contain GMO ingredients. It is preferable to get all your nutritional needs straight from food, however if you are going to take supplements, use ones which are derived from wildcrafted or organic herbs, plants and other sources. 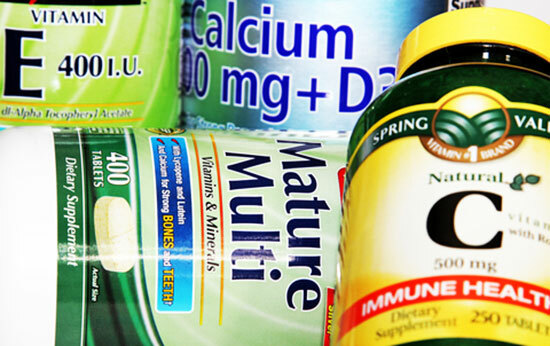 Calcium supplements are especially dangerous since they are composed of ground up fossils and can lead to calcification. Calcium deposits obstruct the internal flow of energy, cause inflammation, shut down the pineal gland and can lead to cancer. Homeopathy is based on an entirely different (and deeper) understanding of reality that the purely rationalistic, materialistic Western Medicine which cannot bring itself to accept that we live in a holographic world where thought forms and energy are powerful forces that shape our lower physical reality. Here's how homeopathy works in a nutshell. There are 2 fundamental approaches to diseases. You can follow the Law of Contraries, where if someone has pain, you provide a substance that counteracts (acts opposite to) that pain. Alternatively, you can follow the Law of Similars, where you use a substance which would produce symptoms in a healthy person but actually cures those same symptoms in a sick person! Homeopathy works using the latter law. It takes substances that would be poisons, then shakes and dilutes, shakes and dilutes, until the remaining water or pellet contains only a fraction or imprint of the poison - enough when ingested that it stimulates the body to correct the imbalance. It also takes substances that are healthy and non-toxic and dilutes them in the same way. 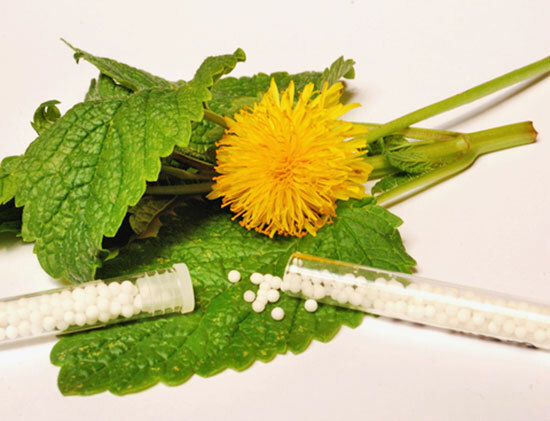 Homeopathy recognizes the body is the ultimate healer; it is designed to stimulate the body's healing mechanisms, rather than suppress symptoms or provide temporary pain relief like Allopathy. In 1890 in the US (before the Flexner Report), around 25% of doctors were homeopathic, including John D. Rockefeller's personal doctor (see Western Medicine is Rockefeller Medicine - All The Way) and the doctors of the British Royal Family. The Aerospace Institute in Stuttgart, Germany, is [a] center for information in water research... they put a flower in a tank of water in one experiment and when it was removed they photographed the droplets. What they discovered confirmed two major truths about reality. I have but one thing to say... homeopathy." The FDA has long been bought off by Big Pharma and functions as its lapdog, not its guard dog. Did you know that, according to this recent Natural News article, a staggering 33% or one third of FDA approved drugs turn out later to have serious side effects and health problems - so serious that they are pulled off the market? How could anyone trust the FDA's approval process with failure rates like that? 10. Vaccines are safe - No way! Vaccines are among the chief weapons of modern day health propaganda, and there are movements afoot all over the world to make them mandatory, which is nothing less than medical tyranny or medical fascism. Year after year, the victims of vaccine damage pile up, whether it be people suffering from fever, infertility, paralysis, brain damage and death. In the US, Big Pharma achieved the deft legal and political maneuver of having a law passed that exempts them from being sued for vaccine damage in normal courts. Meanwhile, the system that has been set up (Vaccine Injury Compensation Program - VICP) is a quasi-court that favors the vaccine manufacturers. "...the government has paid out over $3 billion in awards and legal fees for families and persons that have been affected by vaccine damage between the years of 1989 and 2015. In total, 3,937 cases have resulted in the awarding of financial compensation via the Vaccine Injury Compensation Program (VICP). And those are just the ones who managed to convince the court that a vaccine damaged their child or themselves. The cases of vaccine injury continued to pile up, and the government, rather than hold manufacturers accountable, chose to revise their standards for claims regarding vaccine injuries - making it all the more difficult for claims to pass through the system." There is a lot of modern day health propaganda around. In this case, what you don't know can kill you. It is vitally important to educate yourself about health, nutrition, natural cures, remedies, medicines and protocols, the strengths and weaknesses of different medical systems and the nature of Big Pharma. Still more important is your mindset; yes it's great to cut through the health propaganda, but best of all is to take full responsibility for your state of health.